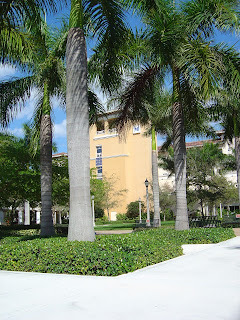 I was passing by the Miramar Police Department yesterday and decided to snap a picture for you. As you can see, there was a Miramar Fire-Rescue vehicle parked right in front. It was there on an actual emergency call--there were at least 15 people scrambling behind it. Not wanting to get in the way, I settled for the photo above. Nice to see Emergency and Law Enforcement working together, which is critical in any city! The police department is located on Miramar Parkway, just a short distance east of Red Road in the Miramar Park of Commerce. You'll see it on the north side of the road. If you click the link above, you can see another photo without all the vehicles in the way. Of course, they don't have any problems clearing traffic away when they want to take their own picture. 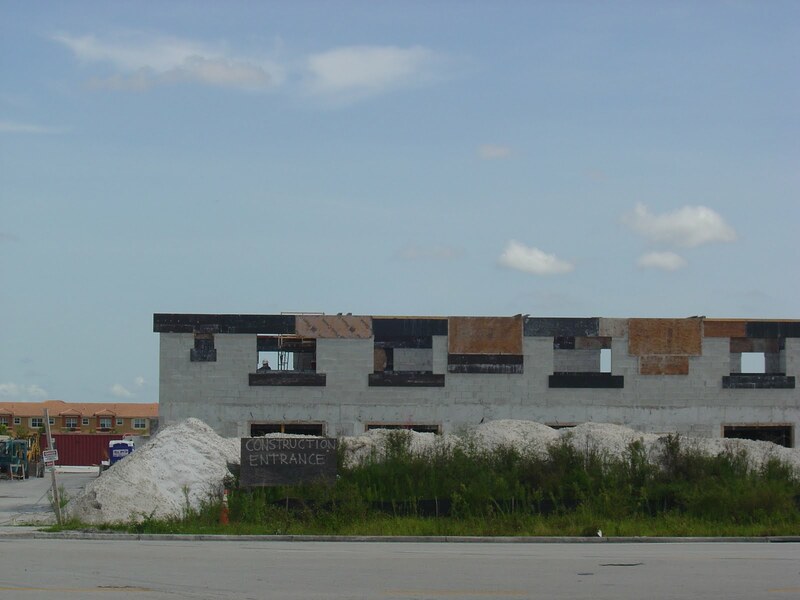 While you're on their website, check out their Core Values, Mission Statement, and see how they plan to attain their primary goal: "to continue making The City of Miramar a safer place for [their] residents." 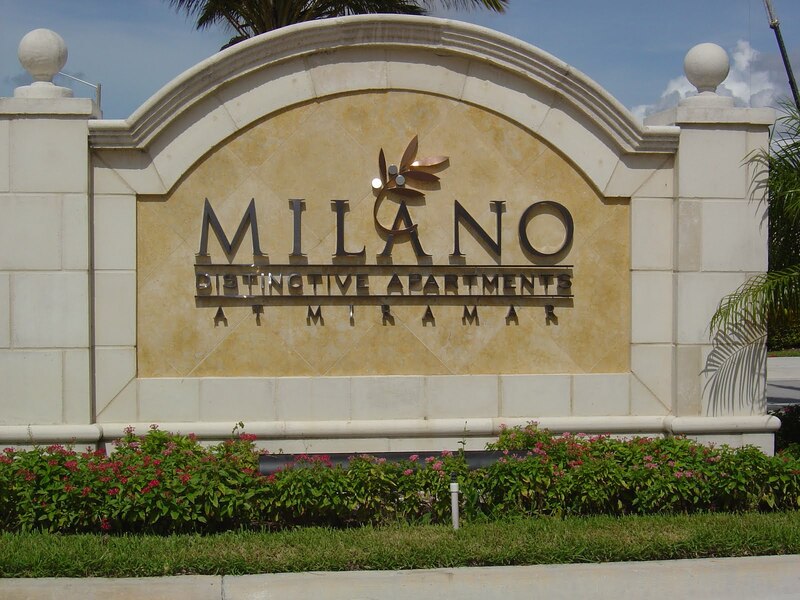 There is a wealth of other information there about the other programs the Miramar Police are involved in. In my seven years living here, I have nothing but nice things to say about the officers. They came when I called after the my neighbor's Pit Bull broke out of it's pen, they have been very approachable in every location I've seen them, and I have no driving violations. Seriously, SLOW DOWN! The speed limit on Miramar Parkway is 45 at most. You should smile when you see one of these guys making sure our roads are safe. Next time you see an officer around town, thank them for the difficult job they do and for helping to make Miramar a great place to live! Same picture I used before, different schedule. Same picture. Different Schedule. When I noticed the swimming class schedule I posted back in February was out of date, I immediately got out of my comfortable chair and hurried over to the park for a new one. And there must have been some huge event, because the line to just enter the park was out on Miramar Parkway. Oh, the things I do for you! 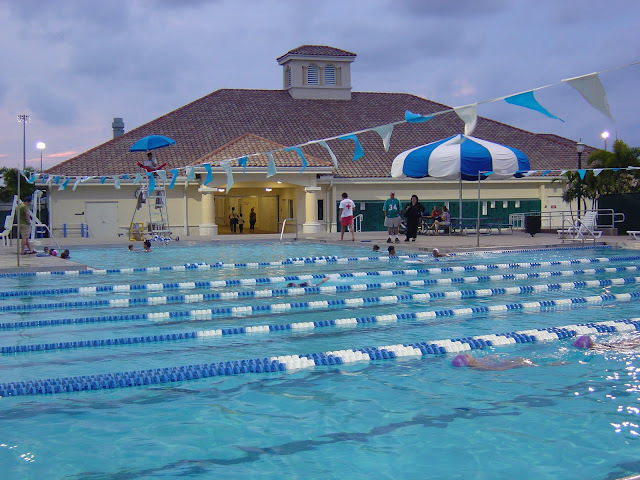 Anyway, here is the swimming schedule, weekday and weekend, for both the East Miramar Aquatic Complex located at 6920 SW 35th Street, Miramar, FL 33023 (954-894-3133) and the Regional Park Aquatic Complex located at 16801 Miramar Parkway, Miramar, FL 33027 (954-641-0150). I was checking out the Post Office website, and it appears that there is only one Post Office in Miramar. 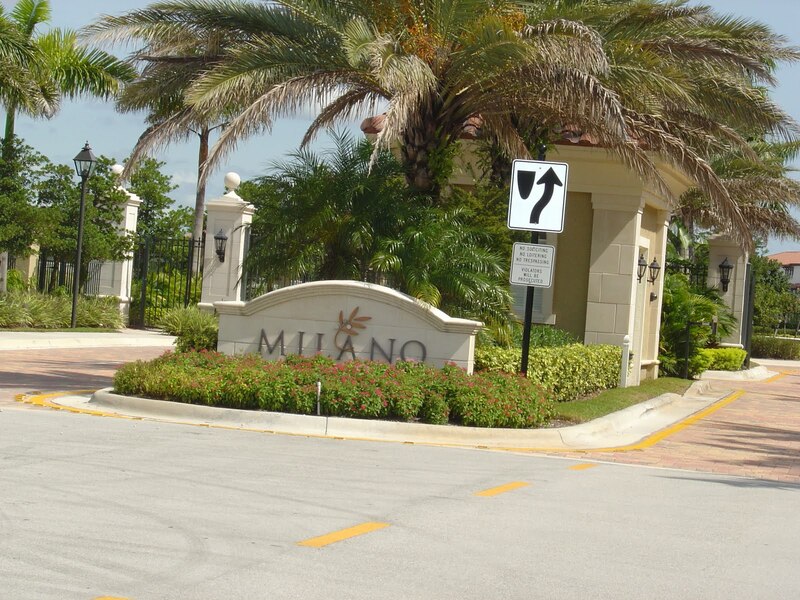 There are others close in Hollywood and Pembroke Pines, but just the one in Miramar. 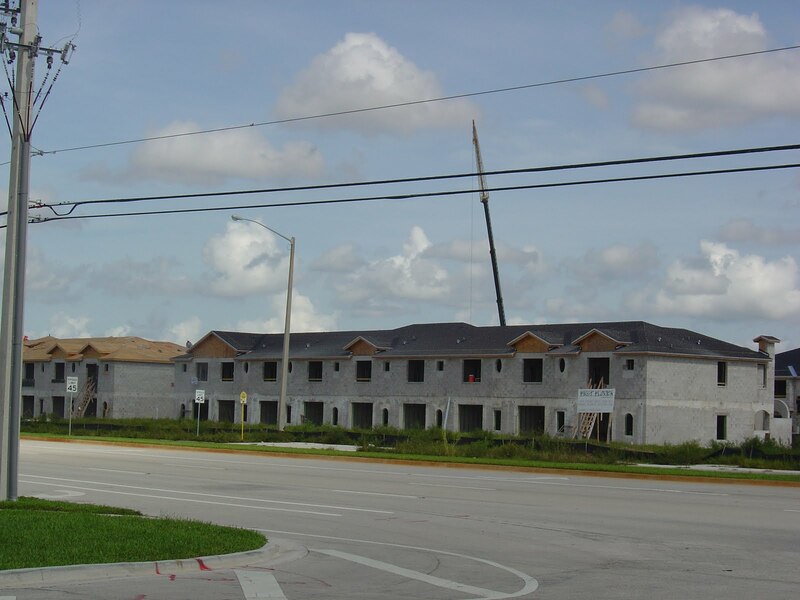 Here is a way to get driving directions from Mapquest (since the USPS directions didn't seem to work), but for a landmark, use the Chevron Station just east of I-75 and off of Miramar Parkway (go North on SW 148th Ave). And though I haven't been there in quite a while, I know this post office well. When my community in Vizcaya was still being built with many homes still under construction, the Post Office would not deliver mail there. That meant a trip to this post office on at least a weekly basis. In addition, this post office has Passport Application Services from 9-12 and 1-3 on Monday through Friday (Important Update 9/2013: I'm fairly certain this service is no longer available at this post office. Go to the City Clerk's Office instead if you must appear in person). Update above makes this part no longer valid --> The website says that an appointment is required so be sure to call ahead. I'm not sure it was like that in the past, as I have first hand experience when we applied for a passport for my youngest son. But I will tell you this. Pay attention to what they require you to bring and be on time (or even early), because it was really disorganized and a mess when I was there. That was a few years ago, but it wouldn't surprise me if nothing has changed. Oh, and smiling helps in those situations. Be ready. I was a Cub Scout and Boy Scout. My dad is an Eagle Scout. I think the Boy Scouts is a terrific organization to teach young boys to become great men. There are a few levels in the Boy Scout organization including Cub Scouts for the younger boys and Boy Scouts for the older boys. The South Florida Council for the Boy Scouts of America will be a great resource for you if you or your son is interested in getting involve with scouting. The National Council is also a place to learn more about the history and programs offered. Personally, I had a little difficulty finding how to find information on local troops and how to get involved on a local level from the national site. I sill don't know how I eventually got to an area that let me search by location and zip code. 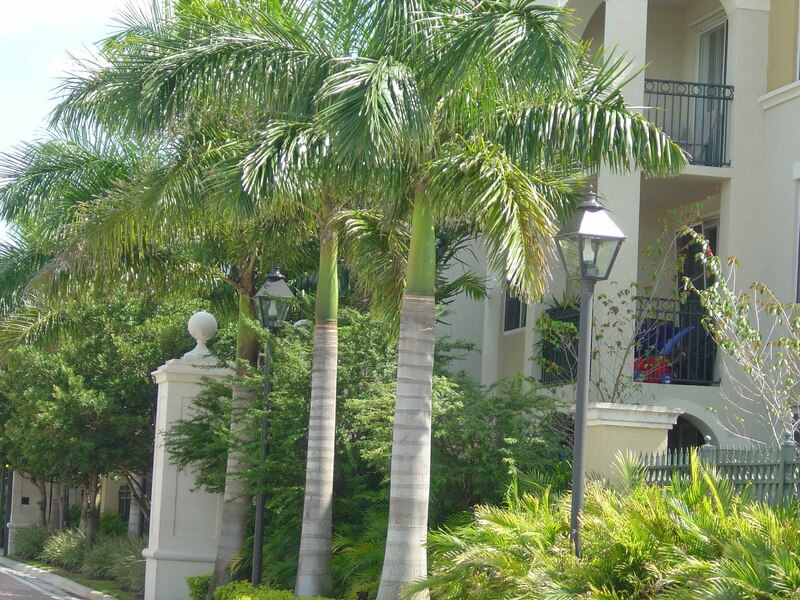 Here is what I found for Miramar, Florida. Two Cub Scout Packs on opposite ends of Miramar and two Boy Scout Troops that appear to be nearby in western Miramar. I encourage you to use the information below as a starting point to see how you and your sons can get involved in this great organization. Please report any valuable information to me here as it will help your fellow residents as well. And soon, a post about another great organization. The Girl Scouts! Unit located in west Miramar. 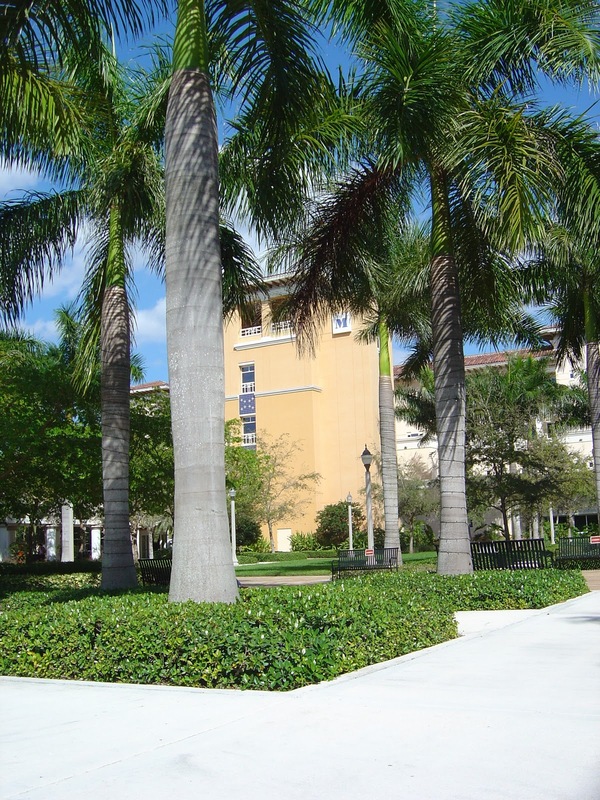 We recruit from the following Elementary schools, Dolphin Bay, Silver Lakes, Sunset Lakes, and Silver Shores. Not sure why this address or contact number are given as the website shows this troop to be at Dolphin Bay Elementary, same as the Cub Scout pack above with the same number. Same thing with this troop--in Miramar, but the same Miami Lakes contact information. If you find something out, let me know. And don't forget to volunteer if you can! Very rewarding. I wish I had the time. 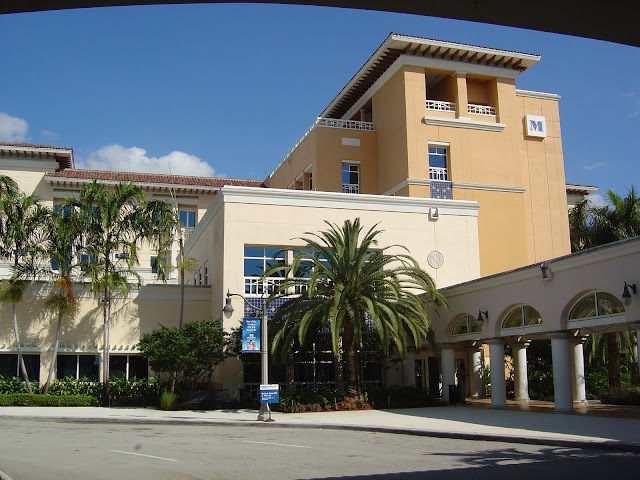 The City of Miramar, Florida sent out a press release yesterday about their Emergency Communication system. You can read it below and on the City's Website, at the Press Release section. Basically, if there were ever an emergency or disastrous event that affected the entire City, this would be one way they would try to let residents know what is going on and how to respond. This test of the system, to take place Monday, March 28, 2011 at 10am, will be used not only to make sure everything is working correctly, but also to encourage people to register their numbers and are able to receive such a call in the future. As indicated in the press release, this particular call will direct residents to the Miramar Emergency Management Website to register their names, phone numbers and emails. Click on the Code Red link which will take you to the page to enter your information. Do it today! Don't wait for next Monday's call! 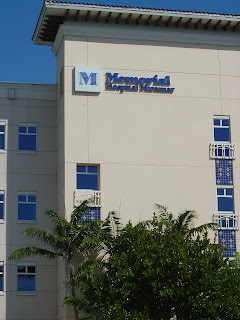 And if you don't have internet access, you can also call 954-602-4842 Monday through Thursday from 7am to 6pm. I hope everyone will participate and cooperate in the program. And if you read this after the actual call next Monday, then NOW is the time to go register and pass this information along to friends, neighbors, family and other residents. Thanks. The City of Miramar Office of Emergency Management will be utilizing the CodeRED Emergency Notification System on Monday, March 28, 2011 at 10am to call the entire City. The calls will be in the morning and will continue until the entire database has been attempted. This call will give the City of Miramar personnel the chance to operate the system as if there has been a community wide disaster. 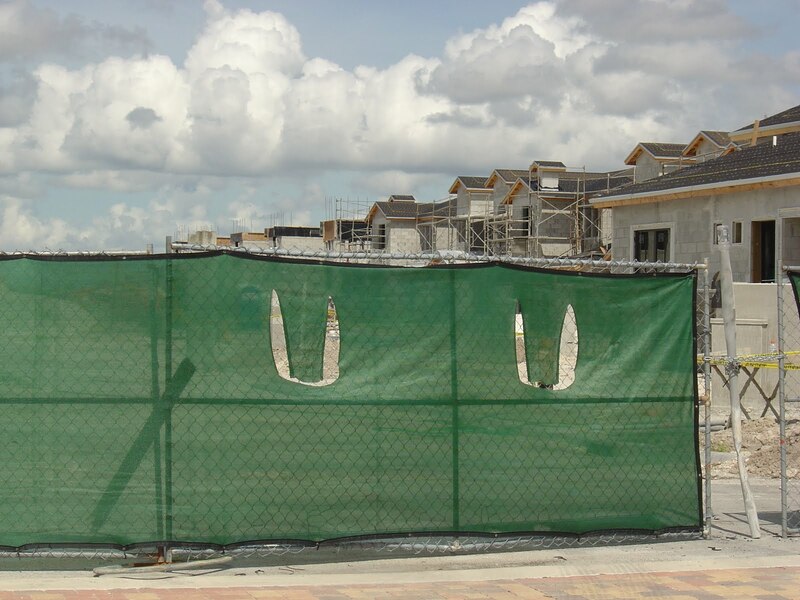 The message that is being delivered directs recipients to the City of Miramar web site to add additional contact numbers, and it also asks that recipients spread the word by mentioning the system to family, friends and neighbors. Joe Cabrera, the City of Miramar Emergency Management Director, suggests that “all individuals and businesses should take the time to visit the City website and add contact information to include cellular phones and other non-traditional phones as well as email and text addresses. If your contact information is not in the database you will not receive a call when an urgent message is sent.” In particular, businesses should register, as well as individuals who have unlisted phone numbers, who have changed their phone number recently, and those who use a cellular phone exclusively or have VoIP phones (such as Vonage) as their primary numbers. Joe Cabrera urges citizens to log onto the City of Miramar Emergency Management website at http://www.ci.miramar.fl.us/em/ and follow the CodeRED link in the middle of the page. Those without Internet access may call 954-602-4842 Monday through Thursday from 7am to 6pm. 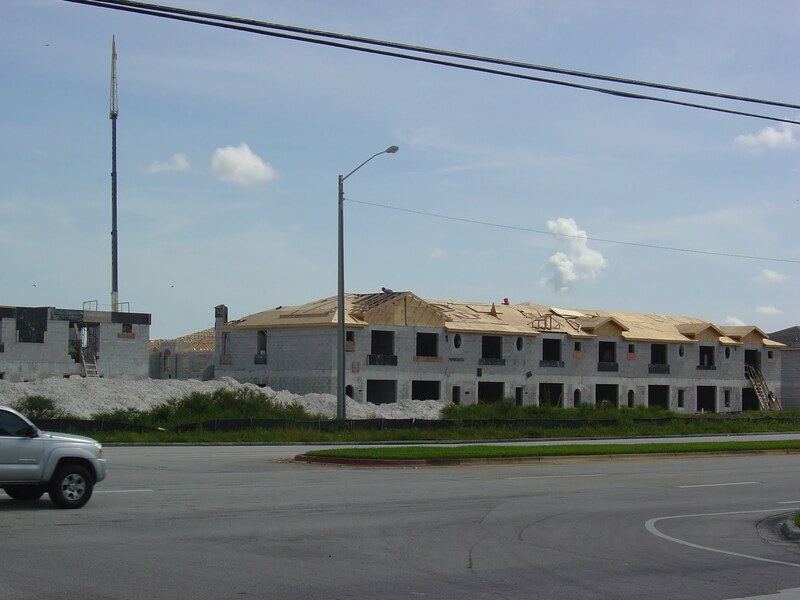 Required information includes a street address (physical address, no P.O. boxes) for location purposes and a primary phone number. Additional phone numbers, email and text addresses may also be entered. For more information, please contact Miguel Hidalgo at 954-602-4883. I guess that I probably should have found that the City of Miramar is on Facebook, Twitter and YouTube by now, but nope, I just found out this morning, by chance. As is often the case, the City has a long disclaimer about the information not necessarily being timely and other liability type stuff, so you should take a moment to read that and always double-check their information (and the info you find here too, duh). My disclaimer is that I am not affiliated with the City of Miramar in any way other than being a resident since 2004 and that I love my community and where I live. Take what you find here as hopefully helpful info, mostly facts, but certainly with some opinion and personality peppered in. Thanks for reading. Oh, and feel free to comment on any post or drop me an email with any input you have. Can't wait to hear from you! 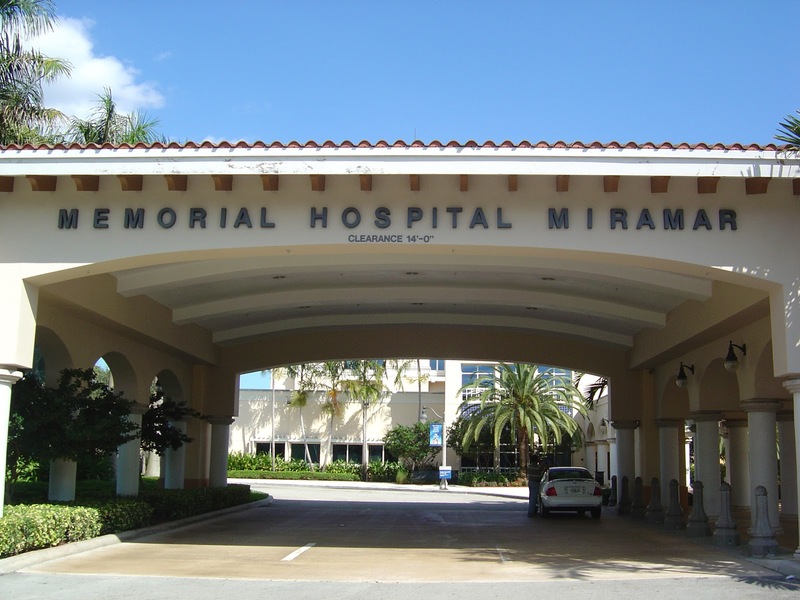 Miramar, Florida is home to Memorial Hospital Miramar, one of several hospitals in Memorial Healthcare System. 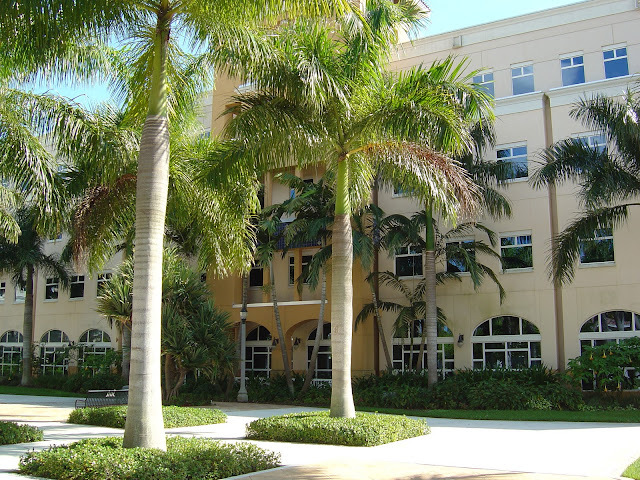 The hospital is located on 172nd Avenue with Pembroke Road and is a beautiful building surrounded by luxurious landscaping and property. It opened just about six years ago back in March, 2005. 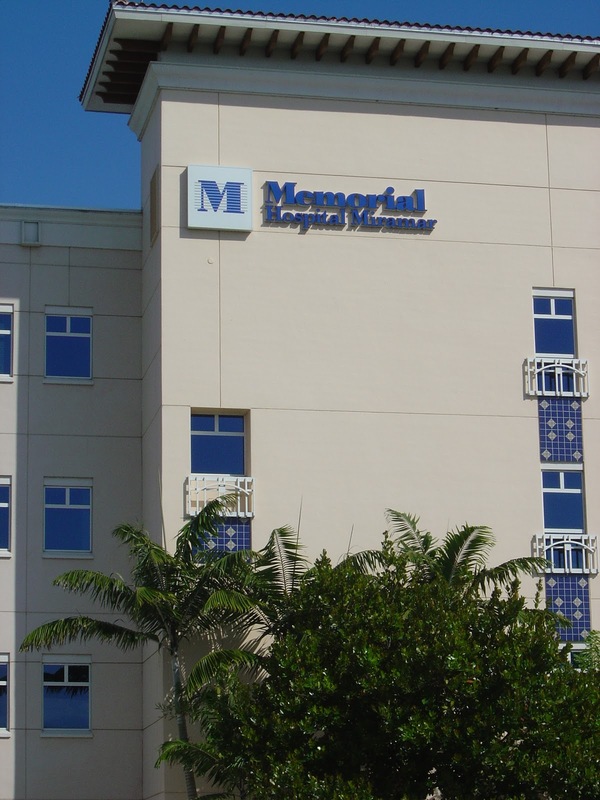 Memorial Hospital Miramar has earned many awards including the 2009 Thomson Reuters 100 Top Hospitals Award and the 2010 Premier Award for Quality given to only 21 hospitals while being measured against almost 4000 others nationally. Now I see why they use the "Is Your Doctor a Memorial Doctor?" tag line in much of their information. It's also conveniently close to Miramar Regional Park and the Silver Lakes Baseball Fields frequented by my children--who knows when there will be a broken bone!